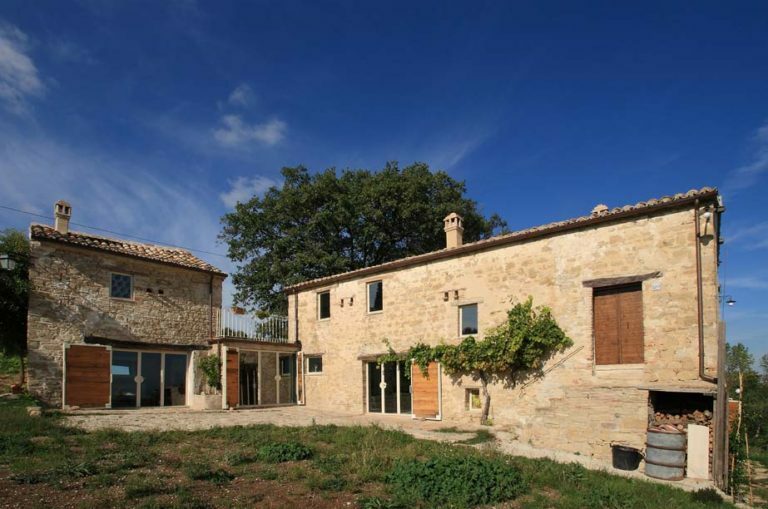 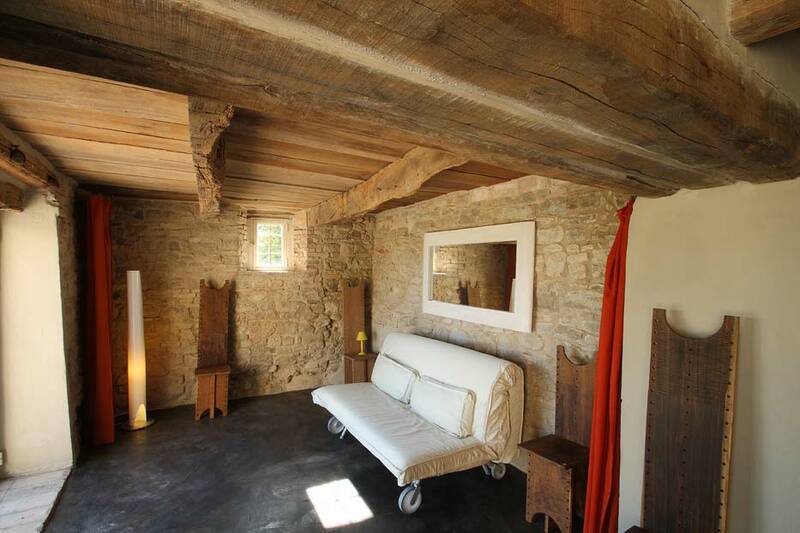 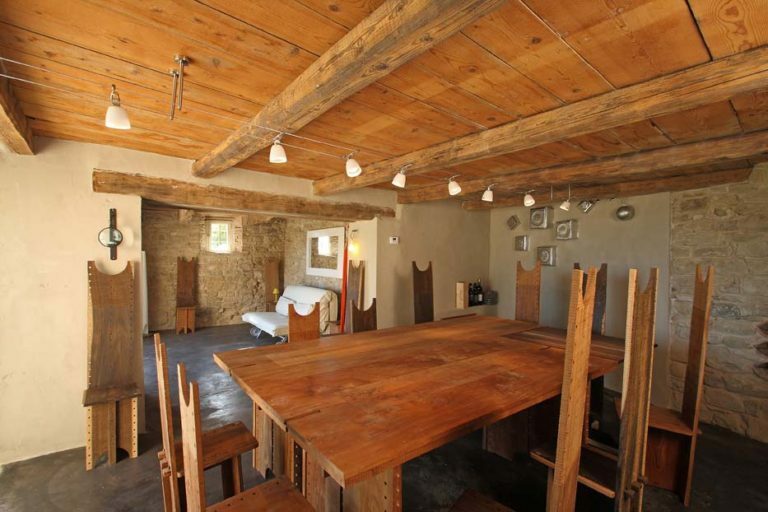 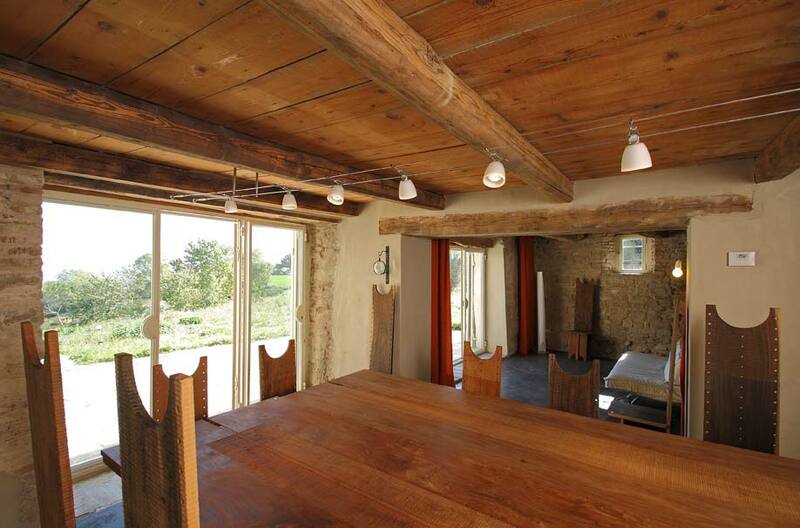 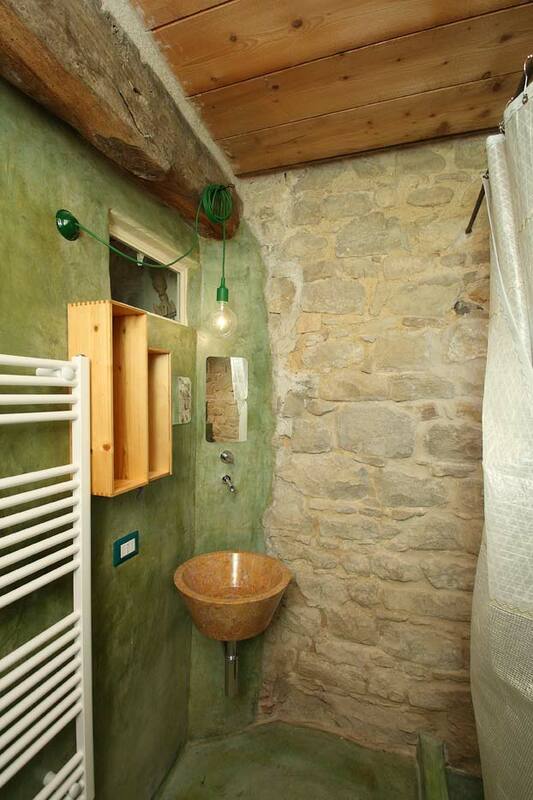 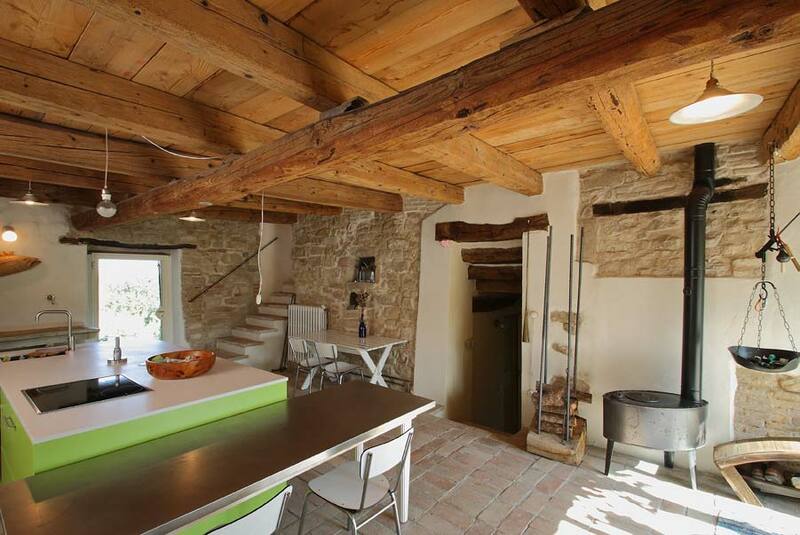 This farmhouse in Cingoli was built at the end of the 20th century. 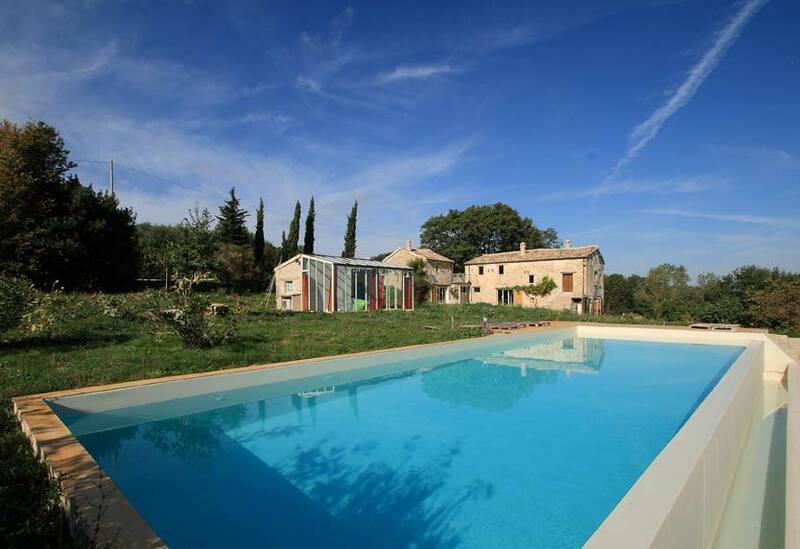 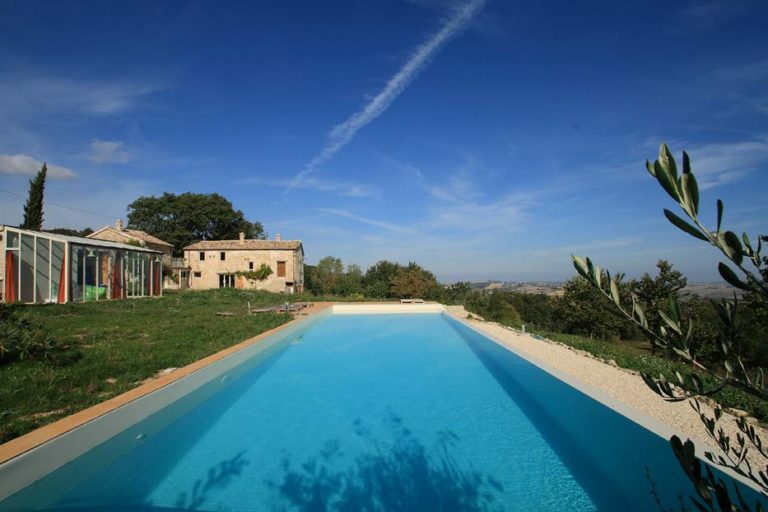 It has a particular structure enriched by four hectares of land left deliberately uncultivated and an infinity pool with a remarkable panorama. 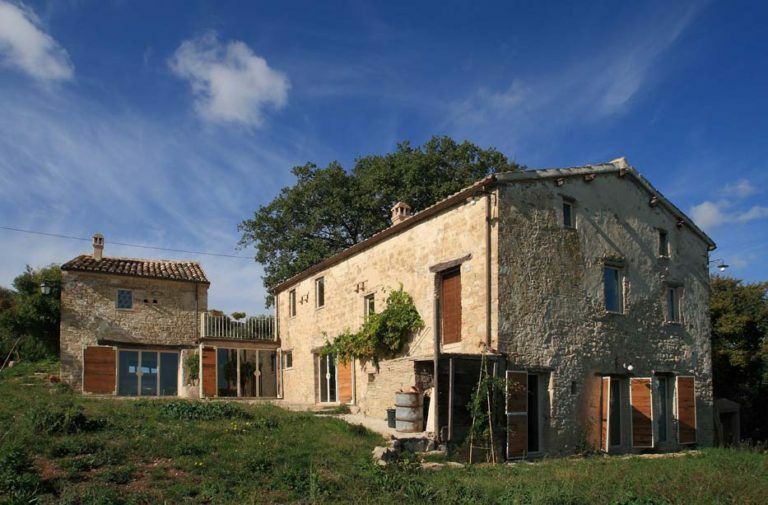 The building consists of a main building, the stone farmhouse, which is connected to the secondary building by two environments. 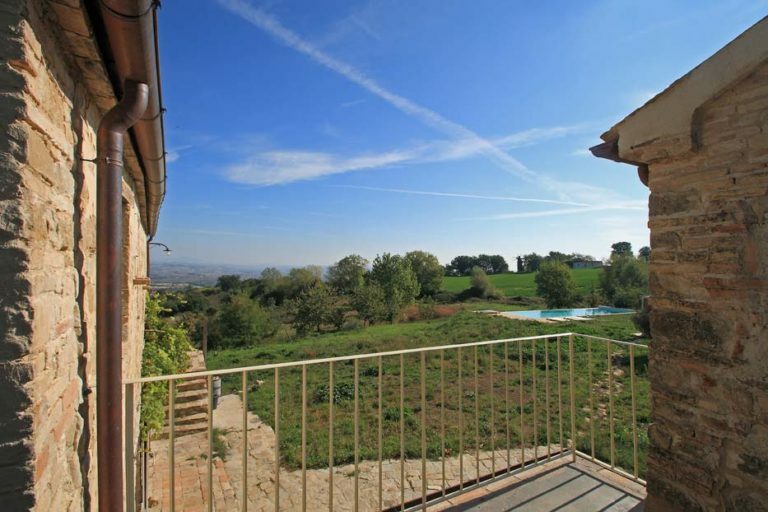 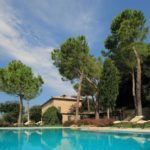 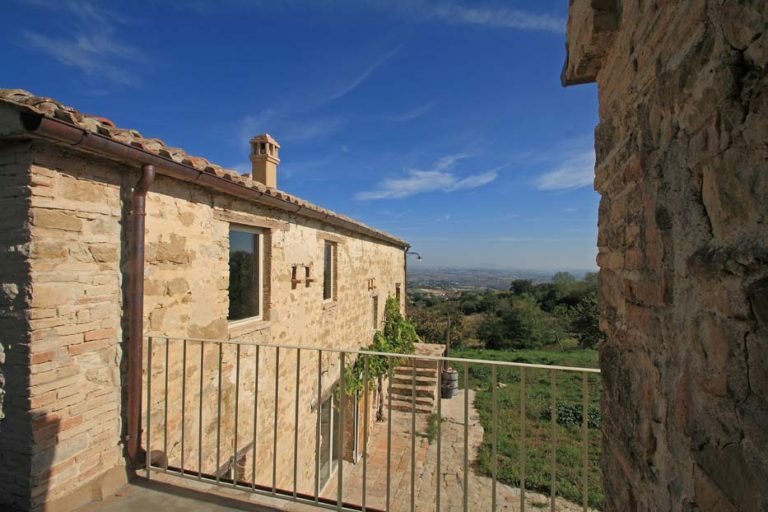 The ground floor and a terrace, a very pleasant passage that gives the two rooms a glimpse over the hilly landscape from the “balcony of the region Marche”, as Cingoli is usually defined, and you can also get a look over the sea. 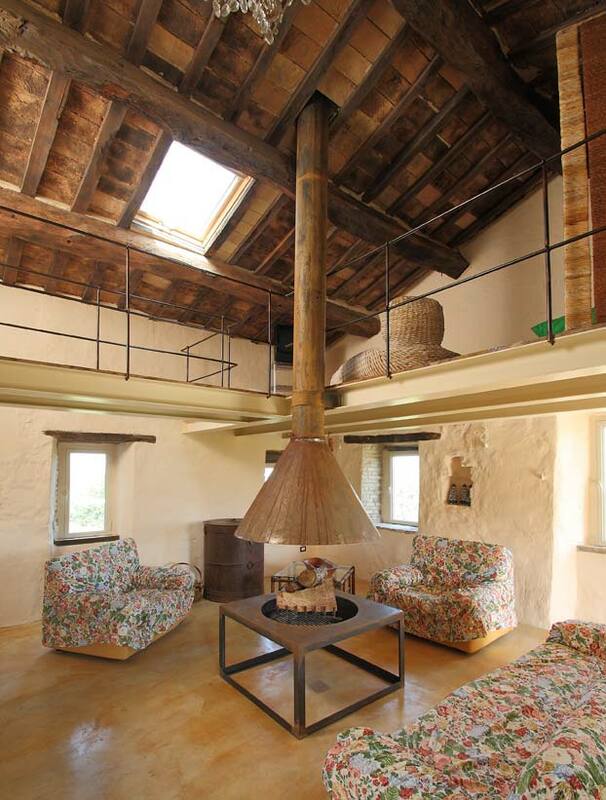 As for the renovation works, colored concrete floorings were used inside this farmhouse, without placing tiles in any room: a particular choice made by the owners that makes the place even more characteristic, while for the sleeping area of the bedroom has been designed a parquet section. 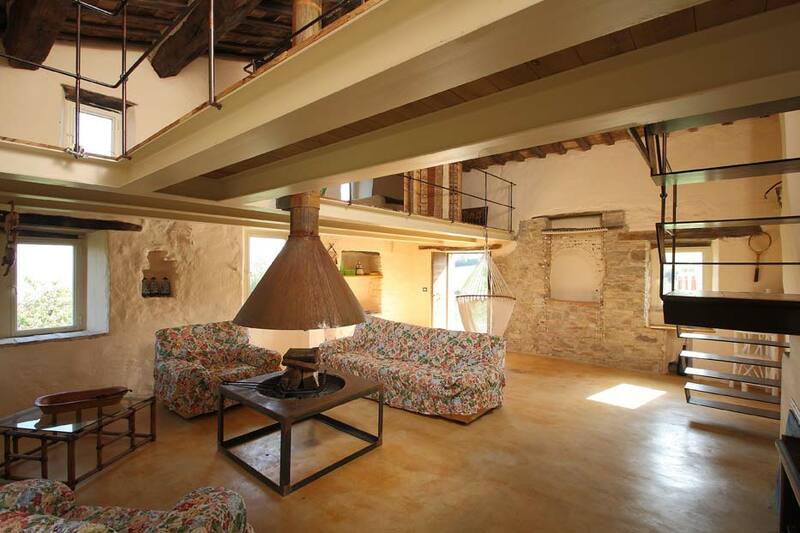 Moreover, the line of the structure of the floors has been maintained as it was found, while in regards to the living room there is a walkway that surrounds it on two sides and featured by a circular fireplace with a cantilevered hood, as if it were an inverted funnel. 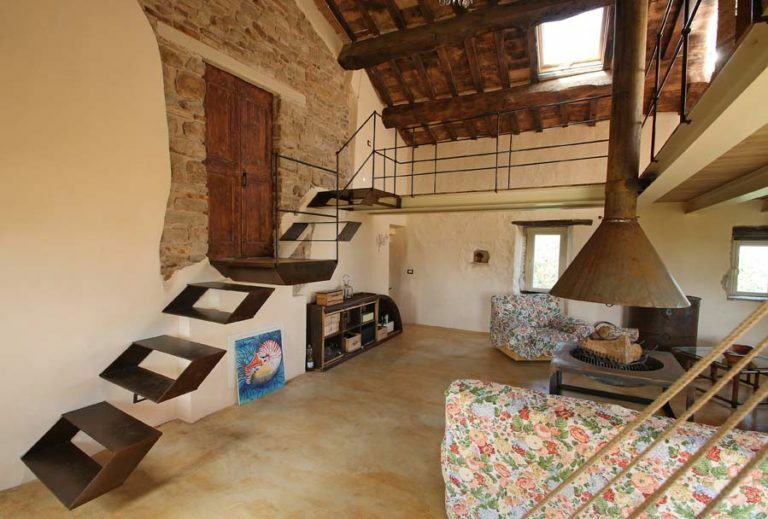 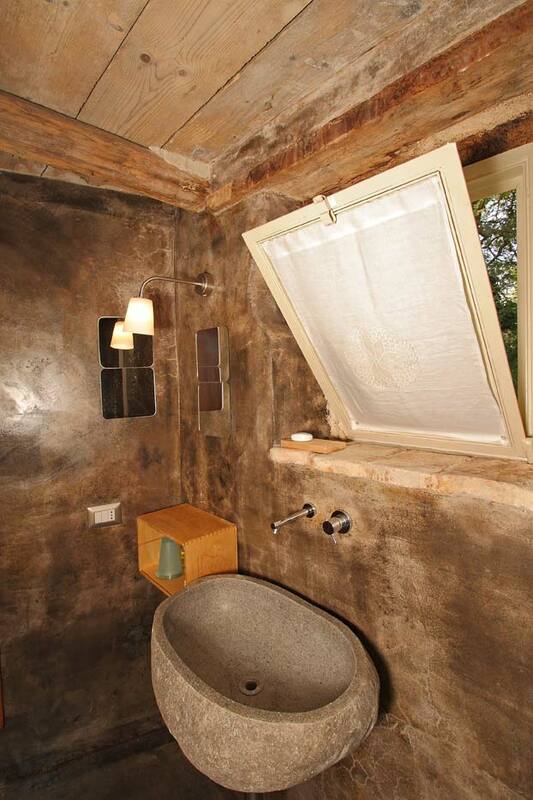 The fixtures are in steel, industrial, as they used to be manufactured about seventy years ago, with a further reinforcement represented by double-glazing, but with reduced thickness compared to the wood, thus making the fixture very strong and resistant without indoors shutters, again an atypical choice of the owners. 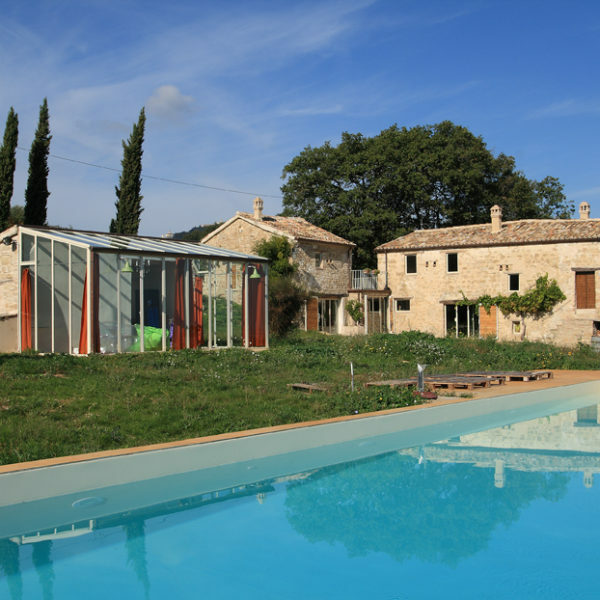 To summarize all this, outside there is a pool house and a pool almost 20 meters long with an infinity side, with the feature of being cut in half: half glass and half stone. 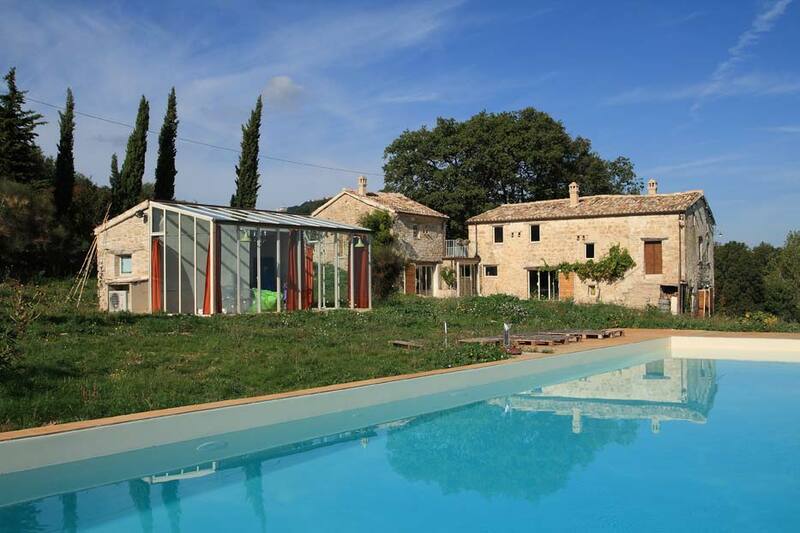 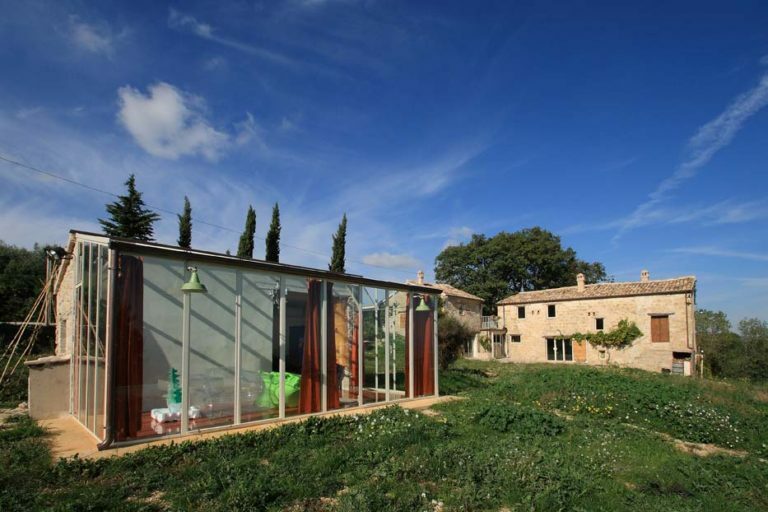 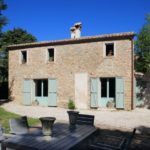 Finally, the façade of the farmhouse, with all its imperfections, was maintained as it was fifty years ago, both the farmhouse and the outbuilding, to recreate a sensation that is completely natural along the times.